The Bayard Square enhancement project is a 0.10 mile streetscape project in Wilmington, DE. This project is along South Lincoln Street from Sycamore Street to Linden Street and received $464,000 in TE funds along with $116,000 in local funds. 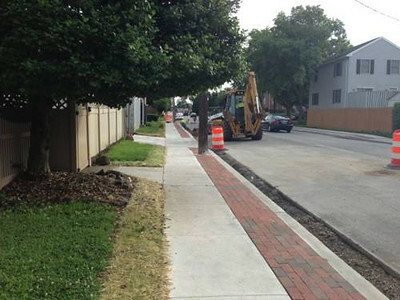 The goal of the project was to provide sidewalk and curb improvements, ADA standard upgrades to existing curb ramps, bulb-outs, pedestrian lighting, and other amenities. In typical Delaware fashion, this project used brick pavers to match the historic charm of the area.